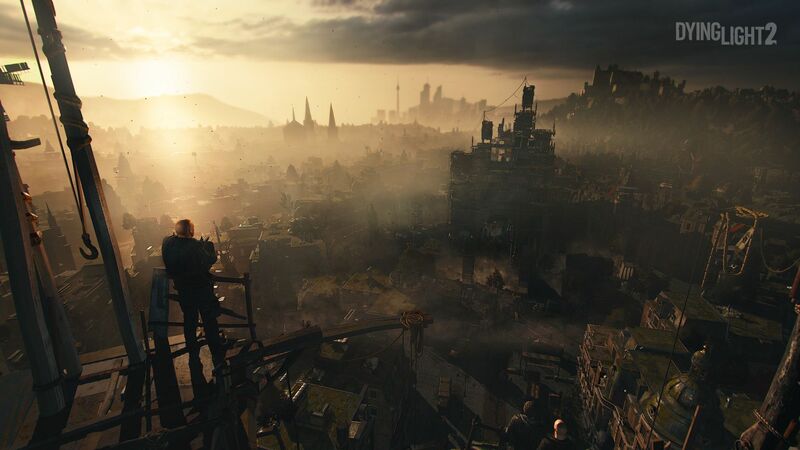 One of the biggest changes Techland is making to the Dying Light formula with its upcoming sequel is the addition of branching narrative paths and choice and consequence mechanics, which are going to be spearheaded by legendary writer Chris Avellone. Avellone has spoken a bit about the themes and the common threads tying it all together in the past (read more on that here), but as you might expect, these branching narratives are also going to impact the game’s playtime. Recently we sat down with Dying Light 2’s lead game designer Tymon Smektala for a chat about the game, and asked him about how long the game will be. Recently, Smektala had stated that the game’s new narrative style and branching paths will encourage repeated playthroughs, and when we asked him about the game’s length, he gave us a similar response, saying that when you take the “various directions” of the story and its multiplayer aspects into account, the game will end up giving you plenty of value for the purchase price. We also asked him about the game’s combat, noting how, like its predecessor, there seems to be a huge focus on first person melee combat, and asked if it would be solely melee. Smektala told us that all weapons in the game would be “dark ages” weapons, but with a modern setting twist, so non-melee weapons would include the likes of bows and crossbows. If you want to read our impressions from our hands-on time with Dying Light 2, head on over here. The game is slated for a launch on the PS4, Xbox One, and PC. A specific release date hasn’t yet been announced, but we’ll keep you updated in case any information comes our way, so stay tuned.